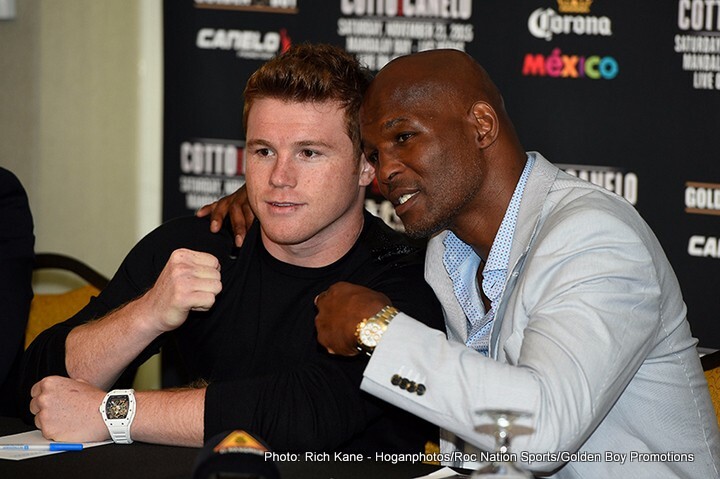 CECILIA ZUNIGA: I want to welcome all the media that joined us today for Canelo’s final media conference call. As you all already know, we have an exciting event planned for all of you on November 21st. Now to introduce the call and Team Canelo, I would like to introduce our host for this call, the Chairman and CEO of Golden Boy Promotions, Oscar De La Hoya. Cotto vs. Canelo, a 12-round fight for Cotto’s WBC and Ring Magazine Middleweight World Championships, takes place Saturday, Nov. 21 at the Mandalay Bay Events Center in Las Vegas. The fight is presented by Roc Nation Sports, Golden Boy Promotions, Miguel Cotto Promotions and Canelo Promotions and sponsored by Corona Extra; Mexico, Live it to Believe it! ; O’Reilly Auto Parts; Tequila Cazadores and Corporate Travel Made Simple (ctms). Also featured on the pay-per-view telecast will be Takashi Muira vs. Francisco Vargas in a 12-round fight for the WBC Super Featherweight World Championship presented in association with Teiken Promotions, and Jayson Velez vs. Ronny Rios is a 10-round featherweight bout. The event will be produced and distributed live by HBO Pay-Per-View beginning at 9:00 p.m. ET/6:00 p.m. PT. Next boxing news: 10th Annual “An Evening Ringside” set for Thursday!